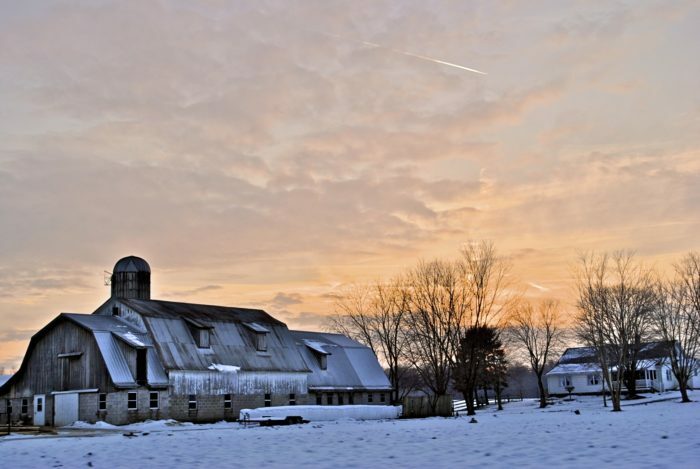 Between the snow and the Midwestern passion for tradition, Ohio is truly a magical place during the holiday season. No sooner have the pumpkins disappeared from the stoop than the Christmas lights line the roof. 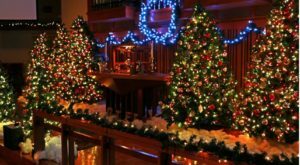 If you’re looking to get in the Christmas spirit, here are 12 Christmas towns near Cleveland that will do the trick! 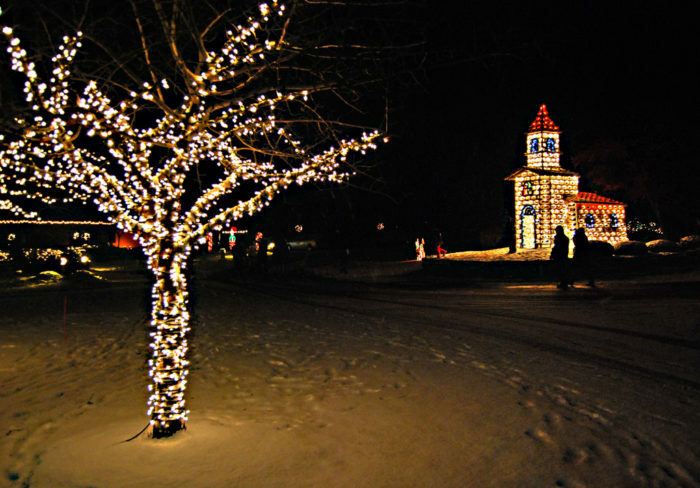 Strongsville is home to some of the best Christmas displays around Cleveland. 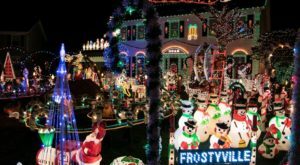 Every year, several different light displays in Strongsville make waves with their creativity and family-oriented fun. Start with the Winter Wonderland, and progress to the suburbs to find some amazing house lights. Castle Noel is the largest permanent indoor 'Christmas entertainment attraction' in the country. What better place to go for a dose of Christmas cheer? Every year for more than a decade, the Historic Kirtland Visitor's Center has put on a display of nativity scenes from around the world. 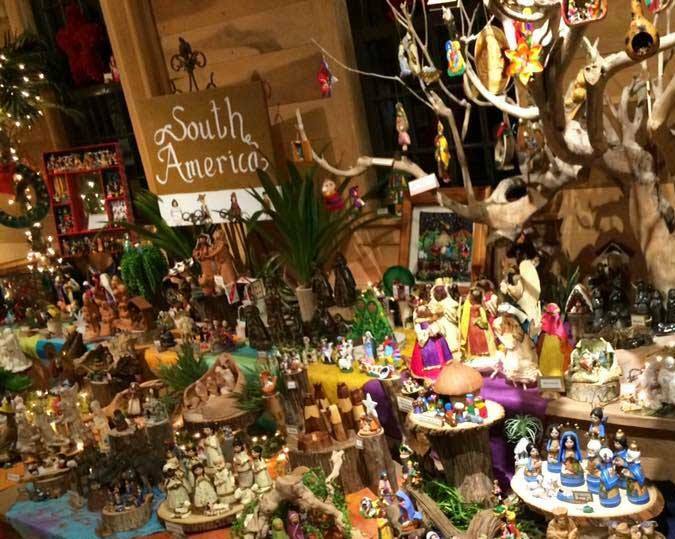 There are almost 1000 different nativity scenes which come from every continent. The fascinating disply shows different cultural and artistic interpretations of the Nativity. 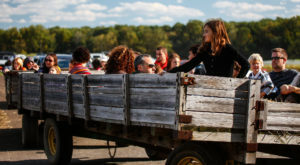 There's also Farmpark, which has visits with Santa in the cafe, wagon rides, animal shows, and trips to Santa's Workshop! And a life-size board game of Candyland! 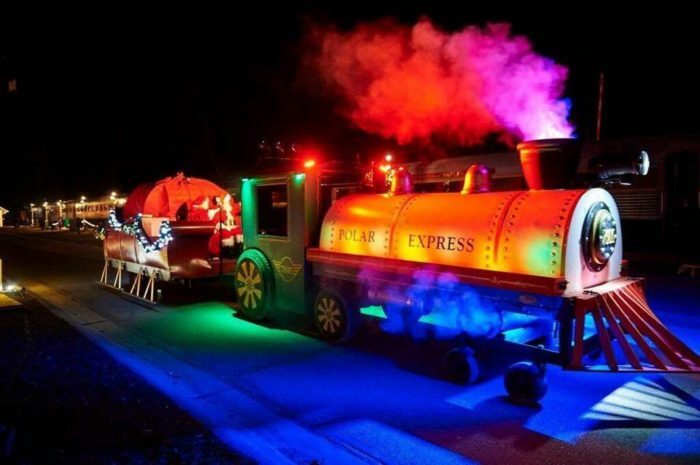 So it's not a town, but the Polar Express train ride is definitely magical and enchanting! It's an Ohio favorite for those lucky (and fast!) enough to get a ticket every year. This trip includes visits from Santa, hot cocoa and sweet snacks, and many other Christmas activities. The train passes many other beautiful Christmas towns along the way. A little further out of the way is Millersburg. 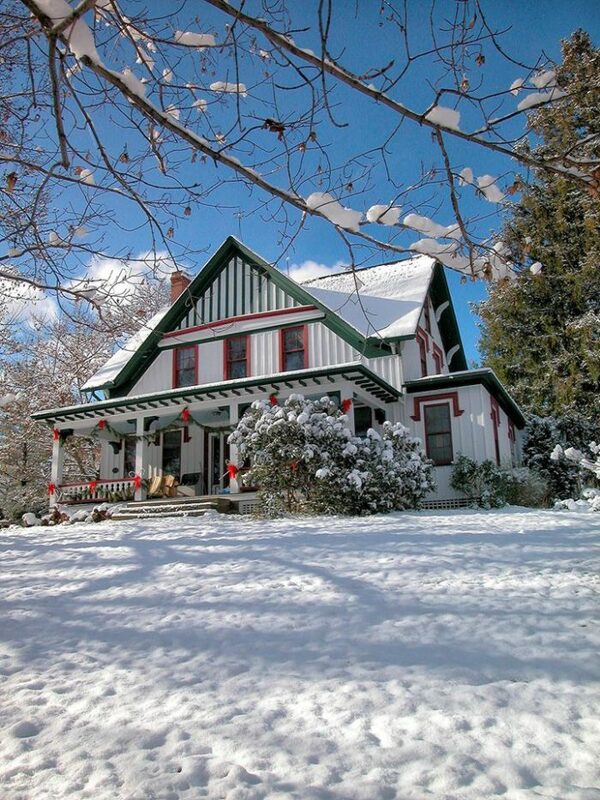 Usually known for being in the heart of Amish country, Millersburg also has Ohio's biggest year-round Christmas shop. It has every Christmas decoration, knick-knack, and doo-dad you, your mom, your cousins, your neighbor, and your boss's husband could possibly want! 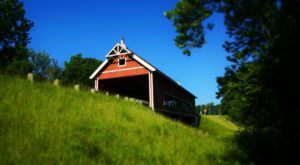 While you're in Amish Country, why not pop down the road to Berlin, OH? If the thought of woodfire ovens and fresh-baked pies doesn't make you think of Christmas, maybe the annual Christmas Cookie Tour of Inns will! Twelve of the beautiful inns in Amish Country are participating this year (December 10 and 11), and the highest concentration is in Berlin. Schrock's Amish Farm has a yearly gingerbread house decorating event for the kids, and there's nativity parade. Akron is a whole different city, but let's face it - it's really only 45 minutes away. That's basically only as far as driving from East to West Cleveland. 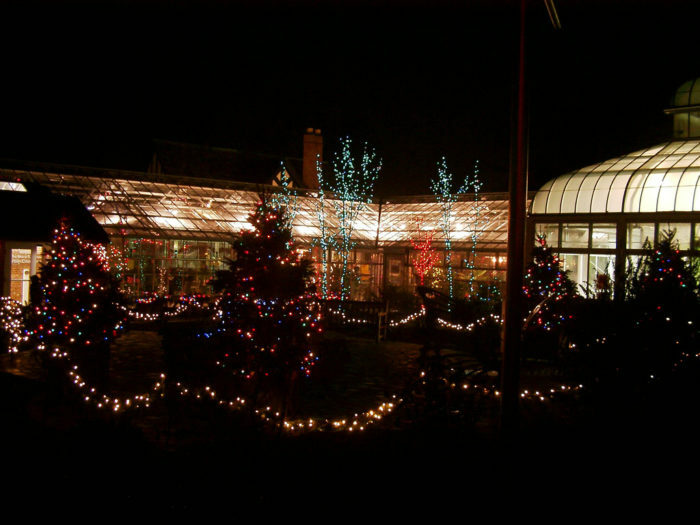 But it's also totally worth it this time of year for the Stan Hywet Hall and Gardens Deck the Hall Christmas lights. The estate is covered in over 850,000 glittering lights, including an outside synchronized lights/music display. There's a brand new addition this year: a new picture window featuring gingerbread bakers! 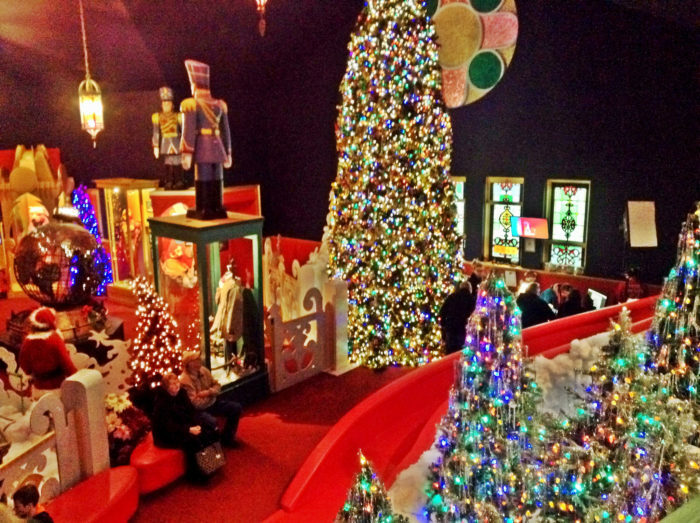 There's also the Sugar Plum Tour of beautifully decorated houses, and the Island of Misfit Toys for some creative fun. 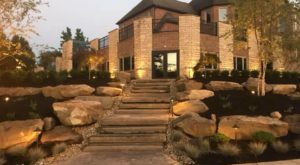 The Carlisle Reservation in Lorain County provides a great outdoor lighting display, with trails through the Metroparks. You can take a tram ride along the trail before warming up in the visitors' center with hot drinks and snacks. Entry is free with the donation of a non-perishable food item. There's also a breakfast with Santa on December 10 with pancakes and gifts for all the kids! This one is a bit of a hike, but it's definitely worth it. Dickens Victorian Village in Cambridge is one of the most unique Christmas towns in Ohio. 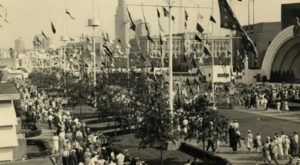 Displays, actors, trolley tours, scenes of Victorian life. Dickens basically invented the image we have when we think of Christmas: snow, warm fires, the smell of roasting meat and the sound of ringing bells. You can get tickets for many activities throughout the Christmas season in the village. In a slight break with Dickensian tradition, the impressive Courthouse light show runs from November 1 to January 1. 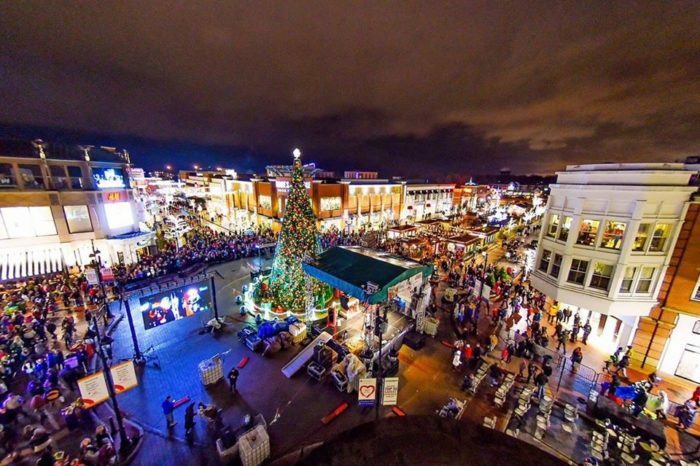 Crocker Park might be best for shopping, but at Christmas they go all out! 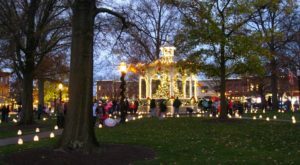 The lighting of the Christmas tree is always a fun family affair, but until the end of December, there are also Christmas train rides around Crocker Park and visits with Santa. Ever wanted to be inside a snow globe? Of course you have! And now you can, with a giant walk-in snow globe! Peninsula has several family-oriented activities throughout the season, starting with the Candlelight Walk through the village. 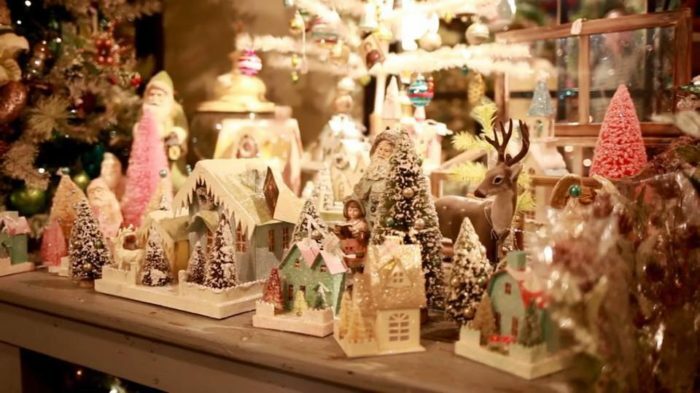 There's a Christmas Bazaar, with everything from trinkets to fresh-made bread. 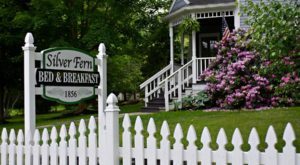 Hale Farm and Village have beautiful lantern tours, and local businneses get in on the action with choir performances, Christmas-themed sale items, and breakfasts. Finwood Estate turns into a glistening wonderland of Christmas lights, and the town center is transformed. 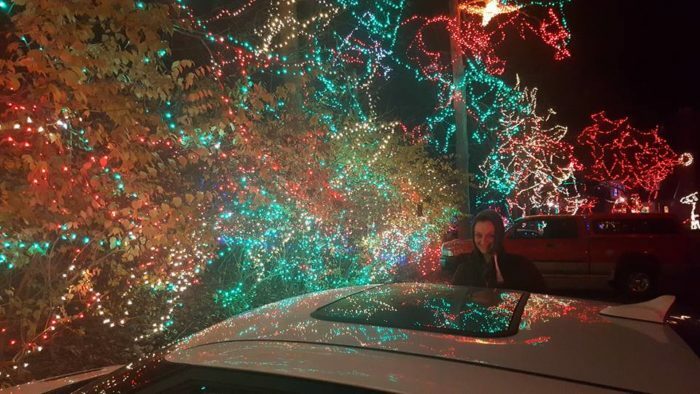 Pandy's Garden Center has a 30 foot Christmas tree with synchronized music/light show every night, as well as visits from Santa and Elsa on weekends. On December 10, Pandy's also has a toy drive, with cookie decorating, elf bowling, face painting, and ornament making. December 16 brings in the Winter Wonderland Art Exhibition, which includes a bake sale, auctions, and art contests for the kids. So which of these Christmas towns are you going to visit this weekend to get your dose of Christmas fun?